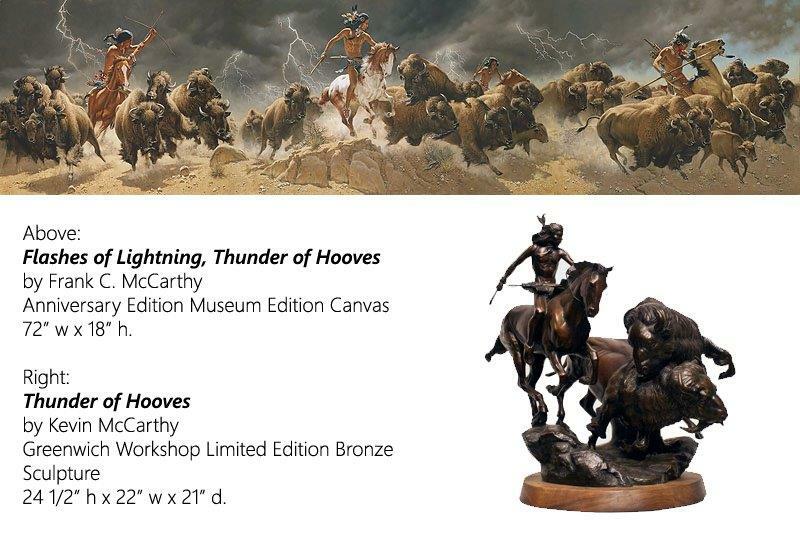 As a six-foot wide MuseumEdition™ Fine Art Canvas, Frank McCarthy’s "Flashes of Lightning, Thunder of Hooves" becomes a center piece of dynamic action in any room in which it hangs. It is one of the most exclusive editions we have created of his work. This (73" x 22") MuseumEdition™ masterpiece is available in an edition of only 25 copies. Be one of the lucky few to own this powerful and impressive work of art that portrays the dramatic days when herds of bison reigned supreme across the Great Plains of North America. Image Size: 72" X 18"